The district seeks to ensure safe and appropriate use of expanding new technology on campuses districtwide. In keeping with the Lenape Regional High School District’s (LRHSD) commitment to provide students and staff with cutting-edge educational opportunities in a safe and secure environment, the LRHSD Board of Education on Wednesday, Feb. 15, approved a policy to guide the operation of Unmanned Aircraft Systems (UAS) popularly known as drones. The policy was developed to ensure the safety and security of students, staff and visitors to the district, meet FAA (Federal Aviation Administration) policies and regulations governing the commercial operation of drones and expand and support the use of UAS technology in curricular and extracurricular activities. According to Tractia, which analyzes emerging technology trends, drone sales are to increase tenfold by 2021. Following the adoption of the UAS policy, the district will form a committee to evaluate the policy and develop guidelines for how the technology will be incorporated into curricular and extracurricular activities. The committee will include teachers and administrators from all four LRHSD schools representing a range of curricula including Air Force JROTC, technology, engineering and creative arts to name a few. Teachers who express interest in working with drones will be trained on safety and FAA policy and regulations. Several members of the LRHSD staff, including Director of Media and Communications, John Donaldson, completed extensive FAA training, passed an FAA-regulated test and are certified under the FAA’s Small UAS Rule. According to Donaldson, there are two means of flying small, unmanned aircraft: recreationally as a “hobbyist,” or commercially for work/business. 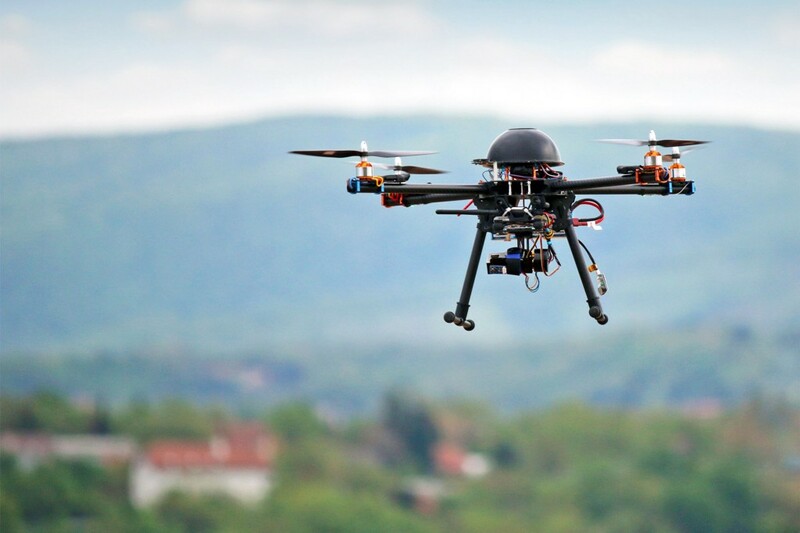 “Anyone who will be operating a drone on school property, including school employees, will fall within the ‘fly for work’ commercial operating category and must be certified,” said Donaldson. The comprehensive district policy was necessary not only to ensure the safety and security of students, but also to be certain the LRHSD Drones initiative strictly adheres to FAA regulations. Per the policy, drones cannot be flown on LRHSD property without prior district permission. According to Birnbohm, LRHSD expects to incorporate some of the committee’s recommendations for use of drones as early as the 2017/2018 school year.